TOTAL INTEGRATION, Realign With Gravity! Nutrition - You can do Better! THE WEBSITE OF MONI YAKIM, a founding member of the Juilliard Drama Division. PANTOMIMES, MIMES This website is intended as a free platform for contemporary professional pantomimes throughout the world. 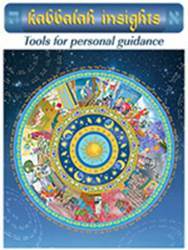 KABBALAH INSIGHTS - Tools for personal guidance. Enchanted metaphysical gifts in the spirit of the Kabbalah. MYJEWISHLEARNING.com is The Personal Gateway to Jewish learning. 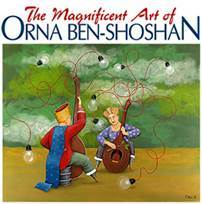 THE MAGNIFICENT ART OF ORNA BEN SHOSHAN - Artist Orna Ben-Shosan has a large exhibit online where she showcases visionary and metaphysical paintings, both oil on canvas and digital art. The Zen of Mime. Internationally renowned teachers and performers express their teaching and artistic philosophies. THE DAILY CAMERA - One of the newspapers of Boulder, Colorado covering local news, current events and the extraordinary. SOUL TREE YOGA STUDIO - Soul Tree Studio offers opportunity to experience balance and liberation through affordable and professional classes in a welcoming space. We strive to inspire you to grow strength in your body, root peacefulness in your mind and create a playful expanse in your heart. INTERNATIONAL JOURNAL OF HEALING AND CARING – On line Clinical reports and research in: Spiritual awareness and healing, intuition, personal development, wholistic therapies discussed by clinicians and patients/recipients/clients/healees receiving these therapies, creative arts as healing. Daniel J Benor, MD, Editor. PLAYSPACE STUDIO, directed by Alan Clay, was first established in Auckland, New Zealand in 1983, and re-established in Sydney, Australia, in 1998, where the studio has pioneered a very successful mix of circus and clown training. Alan also runs ARTMEDIA. HARALD SEIME - Jena/Thuringia (Germany) - A Theatre of blissful and contemplative disguise Pantomime /Art of Movement /Regie /Workshops/Forum for diskussion / Chat for fun /Pinboard for your performance dates. THE WORLD OF MIME THEATRE - International mime theatre information, including a library, resources, performer contacts, and events calendar. TIM AND TANYA CHARTIER - animal impressions, puppetry, mime, creative drama, and balancing. CIRQUE DU SOLEIL, a marvelous troupe of great performers astonishes audiences all over the world. TOOBA PHYSICAL THEATER CENTER Vancouver, BC. The TooBa Centre is intended to be a focal point for theatre artists, teachers and students who want to expand the boundaries of theatrical expression. KIKO THE MIME A One Mime Show. Kiko is a polished and proficient mime artist. He has been performing mime for 18 years and is recognized as one of the premiere classical mimes in America. YASS HAKOSHIMA MIME THEATRE world-touring Japanese mime artist, will treat you to an exciting program of Kinetic Illusions.